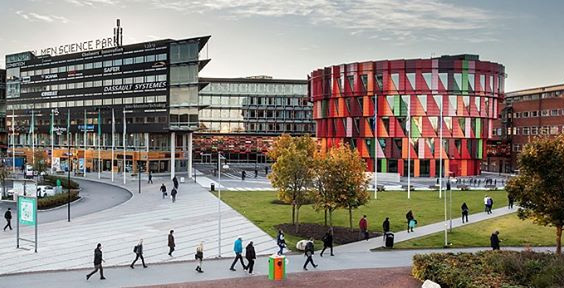 Chalmers University of Technology, Sweden is inviting excellent candidates to apply for a postdoctoral associate position in mechanical engineering. This fellowship is last for 2 years and posible to extend. Applicants should apply before January 21, 2019. The division of Electric Power Engineering is one of the four divisions within the department of Electrical Engineering at Chalmers University of Technology. The division has a strong commitment in research and education with its tasks to develop new knowledge, combine it with experiments, and pass it on to the students and to the society. In this way, the division has been contributing to securing the international competitive position of Sweden as a whole. The research activities on electrical machines and power electronics are represented in five areas: (1) Machines; (2) Converters; (3) Storage; (4) Charging, and (5) Propulsion systems. The vision of these research areas is to contribute to societal sustainability by developing innovative methods and technologies via high quality research in a learning-oriented, collaborative and interdisciplinary environment. The main task for the post doc fellow will be the design and prototyping of modular, distributed, and integrated drive system for electric and hybrid vehicles. - The post doc work is a part of an EU H2020 project “DRIVEMODE” with several academic and industrial partners. The project aims at developing next generation electric drives - highly efficient and compact integrated modular drivetrain components dedicated for mass produced electric and hybrid vehicles. The Chalmers part of the project is system design of the new concept drivetrain, modelling and research on extended functionalities of distributed drive. The system design will be conducted together with a vehicle manufacturer. The post doc researcher should be able to work independently and in team. - The post doc will be involved in system integration, system simulation, system optimization, prototyping, and performance tests. - In parallel to the development of electric drive module by our project partners, Chalmers will in-house implement a simplified distributed drive concept with new concept electric machines and PE in a demonstration car to generate additional data for verification of system model, control and extended functionalities e.g. torque steering etc. The post doc fellow is expected to lead the implementation, interfacing, simulation, prototyping and testing in Chalmers labs. There are several PhD students involved in the research. - The research will be conducted in such a way that theoretical study including simulation and optimization is combined with experimental verifications. - The research results will be published as technical reports and scientific papers on peer review journals and international conferences. - The post doc position is limited to 2 years and will normally include 15-20% departmental work, typically as lab assistant and exercise leader of different courses. To qualify for the position of postdoc, you must have a doctoral degree in Electrical Engineering, Mechanical Engineering or equivalent; the degree should generally not be older than three years. You are expected to be somewhat accustomed to teaching, and to demonstrate good potential within research and education. - Good knowledge on power electronics, such as 3-ph converters, semiconductor devices, DC/DC converter, charging systems and their modelling methods, is required. - Practical experience on experimental tests of electric machine and converters and knowledge of instrumentation is required. - Practical experience on system integration of electric powertrain, thermal management, vehicle dynamics modelling and vehicle control is preferred. - The design and simulation tools that will be used in the project include FEM tools such as Maxwell-2D, circuit simulation tools such as LT-Spice, modelling tools MATLAB/Simulink, and Solidworks for mechanical design. Experiences in some of these or similar tools are required. - Applicants are expected to have an excellent knowledge of both written and spoken English. Since the university's teaching activities are conducted in both Swedish and English, the knowledge of Swedish is an advantage. - A lot of the work will be conducted together with other colleagues and collaboration partners. The spirit and personal skill for teamwork are highly appreciated. The application should be marked with Ref 20180737 and written in English.